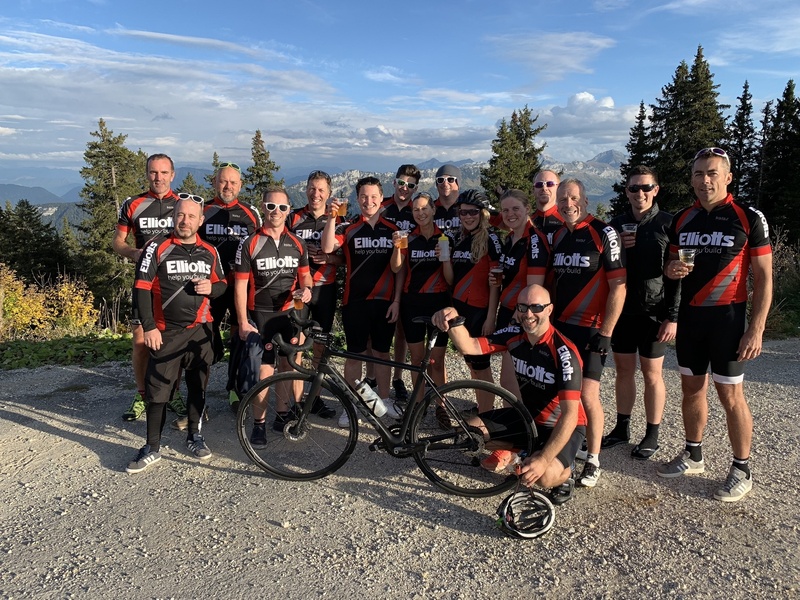 The team, consisting of Stuart Mason-Elliott, Tom Elliott, Matt Adlington, Steve Thomas, Greg Read, Steven Webber, Simon Mattock, Sarah Galton, Emma Knight, Adriana Walter, Luke Hawkins, Ant Buxey, Ben Stone, Ade Brewer Smith, Jason Gadsby, Dave Rymer and James West, cycled 510 miles over 3 days. First-time ‘challengers’, Adriana Walter, Emma Knight and Sarah Galton from Elliotts Living Spaces in Lymington, enjoyed the experience. "We had an amazing time and the team spirit was incredible. I don’t think we stopped laughing from when we left for France until we got home." "We would start riding at 6am and not finish until 6pm, but cycling through the French countryside was beautiful and made it worthwhile. Getting to the top of the mountain on the final day, we all felt a great sense of achievement. We were proud to be part of Team Elliotts." The team are raising money for our charity of the year, Countess Mountbatten Hospice Charity. There is still time to donate if you haven’t already. The team are 79% of the way to hitting their £10,000 target, can you help them get there? Click here to donate. A huge thank you to Volvo for lending a fleet of cars to act as support vehicles during the challenge, and to Zillwoods for wrapping the cars (and making us the best support fleet in France)! The team would also like to extend their thanks to everyone who has donated so far and wished them well on their challenge.